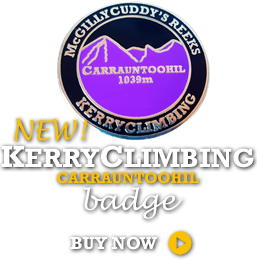 KerryClimbing is a family run business by Piaras & Catherine Kelly and their team of (the absolute best!!!) guides, instructors and staff. Lead mountain guide, Piaras can’t wait to meet you and show you the stunning delights of the mountains he knows and loves so much. He has extensive knowledge of all of Munster’s mountains, but particularly the wild remote mountains of Kerry and the South West. He is a Qualified Mountain Leader, a Qualified Rock-Climbing Instructor as well as a Multi-pitch climbing award holder and has been climbing these mountains for over 20 years with some notable winter first ascents to his name. A highly experienced mountaineer and climber, he spent many years as an instructor with a cliff and coastal rescue unit of the Irish Coastguard and is currently a member and the Training Officer with the volunteer Kerry Mountain Rescue team. He is a longstanding member of Mountaineering Ireland (M.I)>>, Mountain Training Association (M.T.A)>>, and the Association of Mountaineering Instructors (A.M.I)>>. 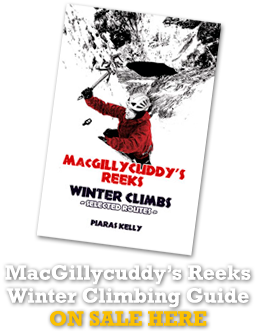 Piaras has a genuine deep love and passion for the history, geography, ecology and folklore of the Reeks. 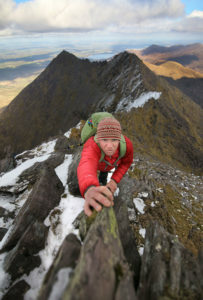 He is deeply involved with the MacGillycuddy’s Reeks Mountain Access Project>> and holds the elected position of ‘Guides and Commercial Operators’ representative on this management committee/structure that is tasked with sustainably managing and looking after the area encompassing these mountains. He treks and climbs in all seasons in the Himalayas, Europe, Britain and Ireland. Piaras works alongside his wife Catherine Kelly who has an extensive background in Customer Service & Marketing. She manages the bookings, social media and marketing side of the business and is your first point of contact with KerryClimbing. She is always keen to assist in planning an adventure! Catherine has a strong connection with the mountains being keen walker and mountaineer for over 20 years. She is a long-standing member of the Search and Rescue Dog Association (SARDA Ireland). Previously an operational search dog handler with her dog Lily who passed away 3 years ago she is now training up another border collie, Liath. Catherine also travels internationally as an assessor for N.S.A.R.D.A. dog teams. 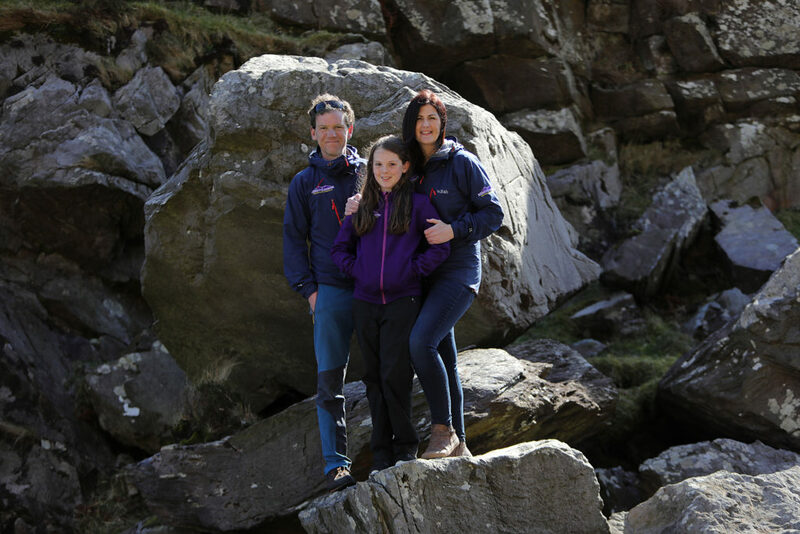 Catherine & Piaras live with their two children, Orlaith and Tiernan in the shadow of the Reeks. 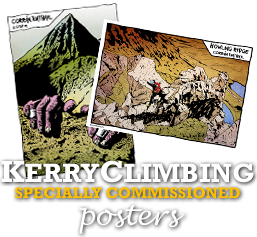 KerryClimbing prides itself on offering a warm & personal approach. The first thing we do is listen to you. We like to plan activity days to match your own personal expectations, whether you would like to learn how to rock climb, wish to climb or hike up Carrauntoohil by its most difficult or more straightforward routes. Perhaps you just fancy an informative and interesting guided stroll or hike in the beautiful Killarney National park or up some smaller oak forested rugged hill? Local knowledge is the essential factor in making the most of your visit and we will give you a head start in exploring this wonderful area. If you are planning a walking or climbing holiday in the South West of Ireland we have the flexibility to tailor days to suit you whether you are on your own, with a group of friends or as a family. We have extensive experience of running safety and rescue backup for a variety of charity events, mountain events and challenges and organise the annual Ultimate High Peaks Challenge, which traverses sixteen of Ireland’s highest summits in one day. 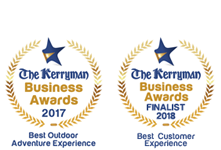 We also are extremely proud to be chosen as winner of the – “BEST OUTDOOR/INDOOR ADVENTURE EXPERIENCE” in the Kerryman Business Awards 2017 which were created to reward endeavour across business models from retail and tourism, to the services and recreational sectors. We were also one of only three finalists in the over all BEST TOURISM AWARDS ! This Award gives recognition to and promotes people, companies and organisations that have made significant contributions to developing, marketing, selling and delivering improved visitor experiences in the region. We were really humbled to be recognised two years running in such a high profile awards shortlist. We are also immensely proud to be ranked #1 on TripAdvisor >> out of ALL outdoor activities in Killarney for 5 years running and being awarded a place in their renowned “Hall of Fame”. 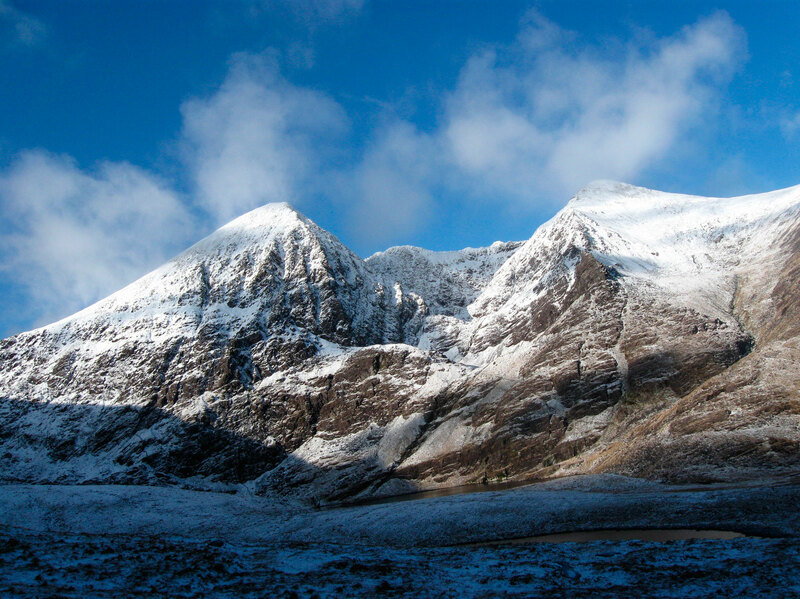 Spend a day climbing or trekking with us and you will understand why!! !